Our meetings are scheduled for the first Thursday of each month starting at 6:00 PM. 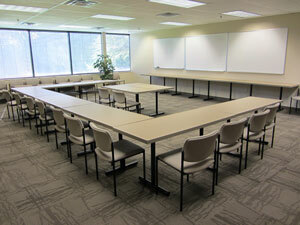 Our meetings take place in a conference room that can seat up to 30 people. Do you have ideas on what you’d like to discuss? Let us know! Our meetings generally last 2 hours and are informal to start. Most meetings begin with 5-10 minutes of socializing and getting settled in before moving on to the night’s theme. Looking for Custom FileMaker Development?